Congratulations to Anubha12, winner of the Versa WiFi USB Adapter 3. 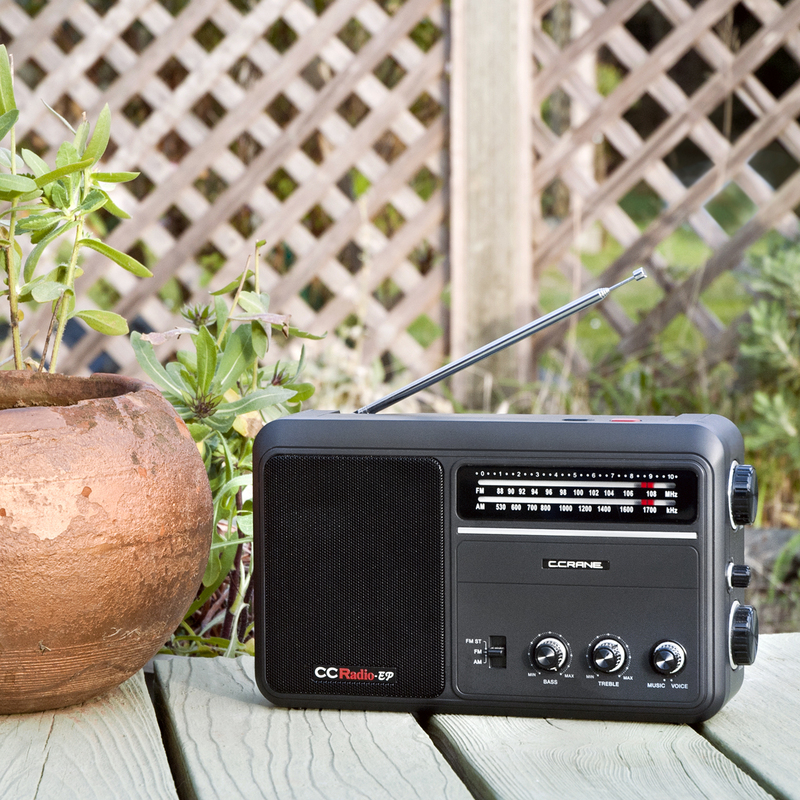 Today’s giveaway is the CC Radio-EP AM/FM Radio. Today’s blog question: What is the best thing that has happened to you since last Christmas? Lost weight and keeping it off..
Got to move on from a dead end job. Creative freedom awaits! Buying a new Honda CR-V and ordering a new radio from C. Crane. I have ordered several and keep coming back for more. That’s a tough question…everyday has been a blessing. I took a trip to San Francisco. It was nice seeing the bay, Alcatraz, parks, and people from all over. My physical came out well ! My sister and I were able to go to Florida together twice to see our dad. He died shortly after our last visit. Despite many obstacles, things keep getting better! Through the year there have been a lot of happenings, but the best is that our children are in good health and gainfully employed and reasonably happy! There is nothing more that a parent can ask for! My husband is at peace with himself. My daughter got the maestro award in a national high school band festival. My second grandchild was born! We got a new truck to pull out toyhauler. I got a job closer to home and don’t spend a lot of time driving to work anymore. So nice and saving gas money too. Our daughter got a job, and our grandson made varsity basketball. Got to visit my Mother! Being able to move to living space with double the square footage and reconnecting with a long time friend that I had lost contact with!